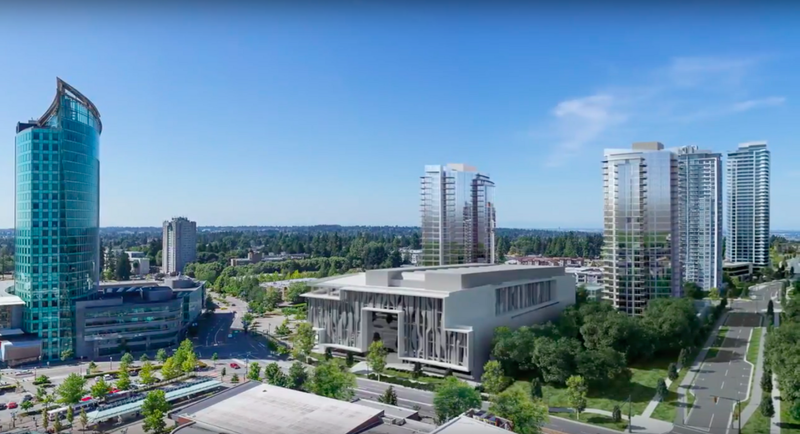 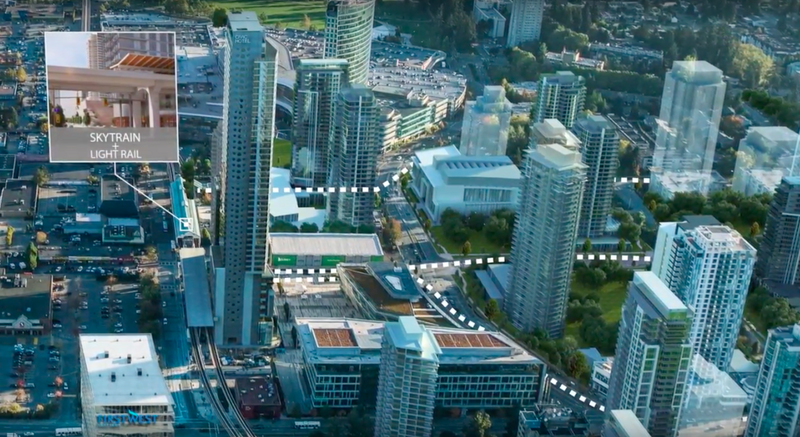 The City of Surrey has released a new video on their YouTube Channel promoting the upcoming Guildford-Newton LRT line. 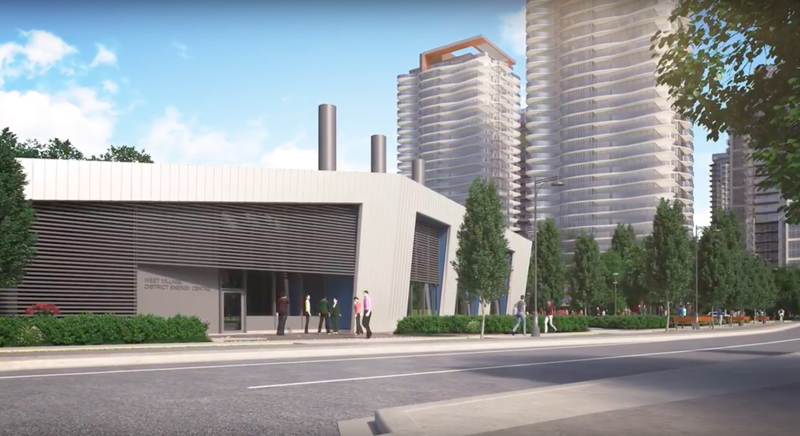 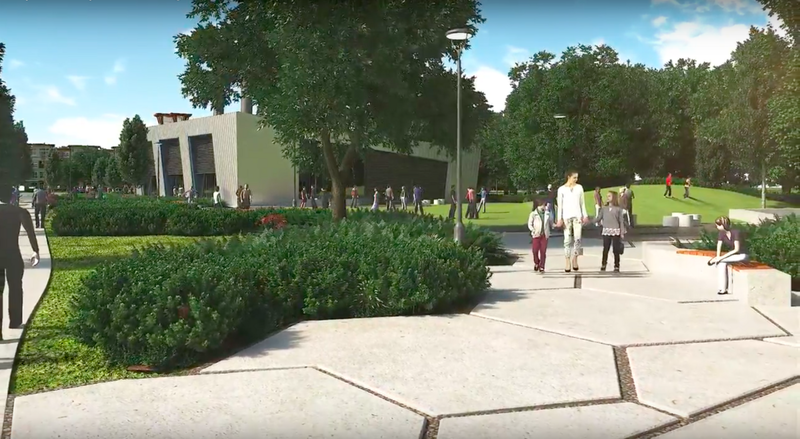 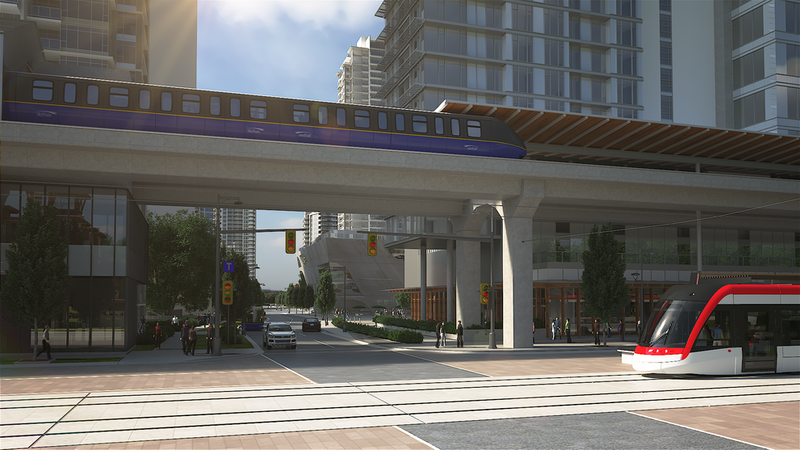 The line, which is expected to begin construction as early as next year, and be complete by 2023, is being used as a catalyst to transform Surrey, rather than simply move people from A-B. 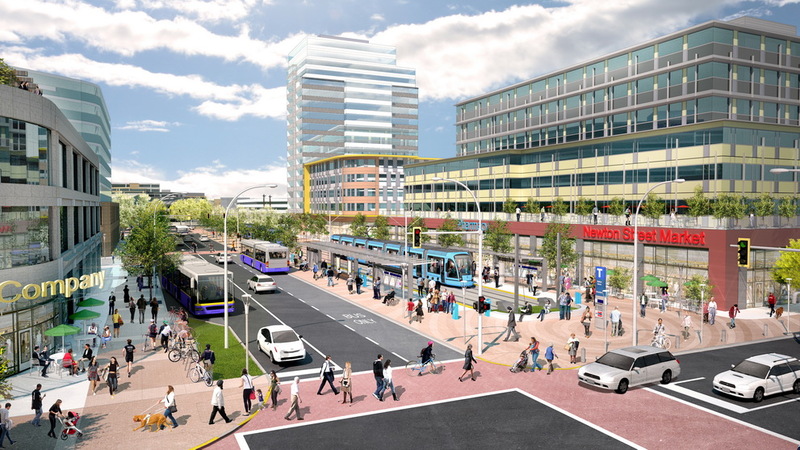 Drawing from precedent in many European cities, street-level LRT has the ability to transform streetscapes and the public realm into more pedestrian-oriented, attractive places that attract businesses, gathering, and higher density housing. 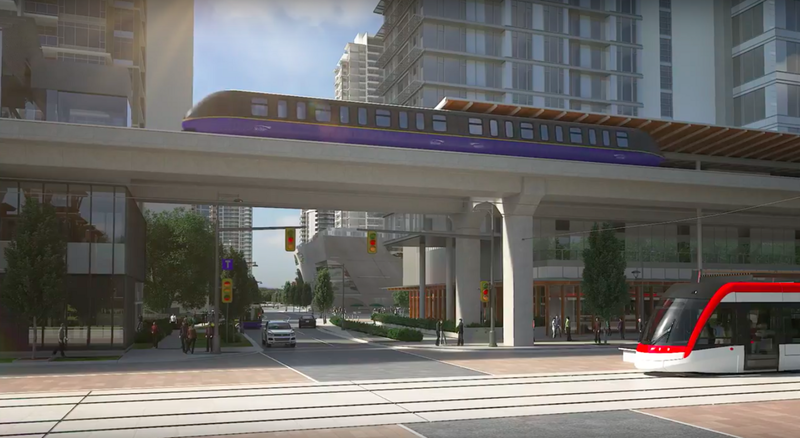 Compared to SkyTrain which cuts through communities disconnected from street-level, on obtrusive concrete guideways, LRT helps build communities along its route, becoming a part of those communities. 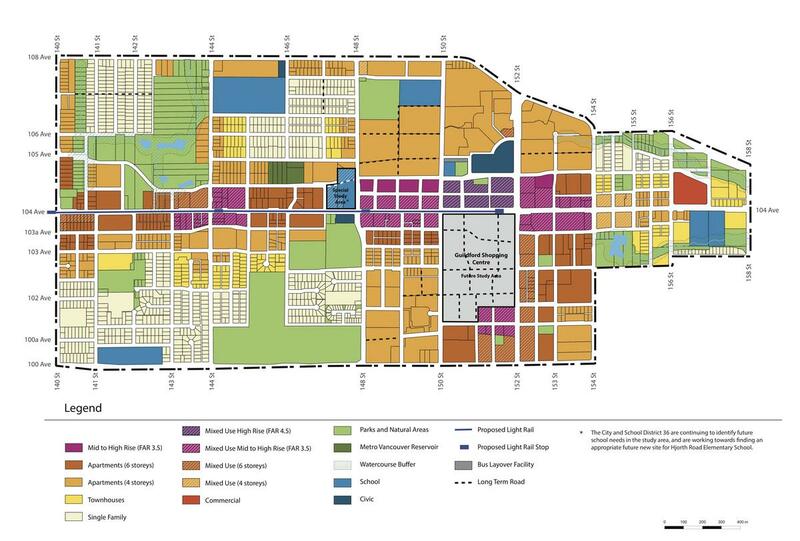 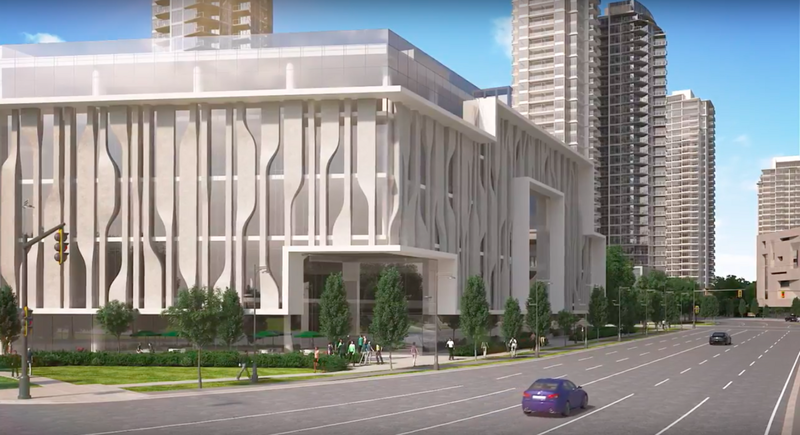 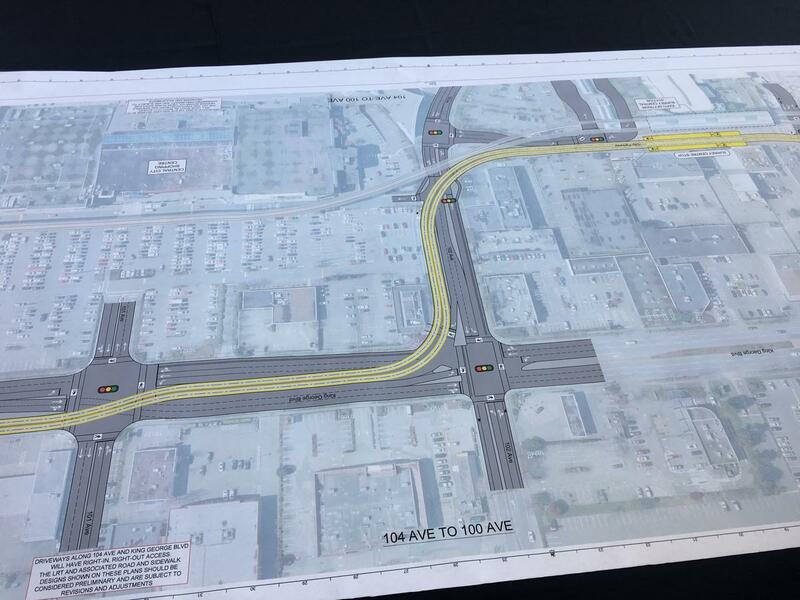 Vision for 104 Avenue – To be repurposed from an auto-oriented corridor to a multi-modal, pedestrian and transit oriented corridor. 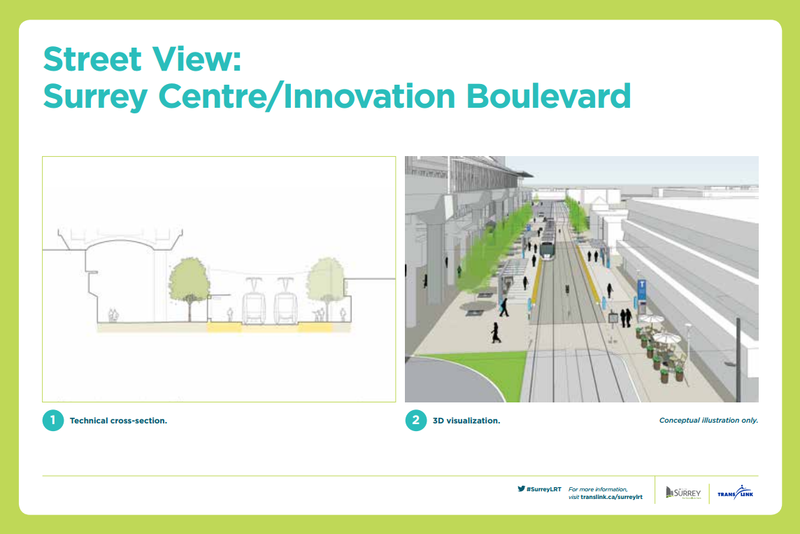 In Surrey City Centre, Newton Town Centre, and Guildford Town Centre, the LRT line will be integrated into pedestrian-only plazas, much like you would find in Europe. 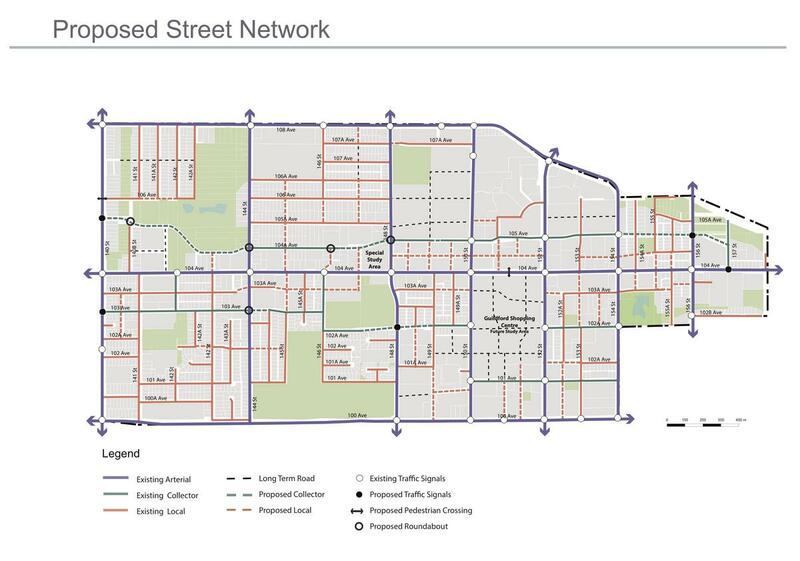 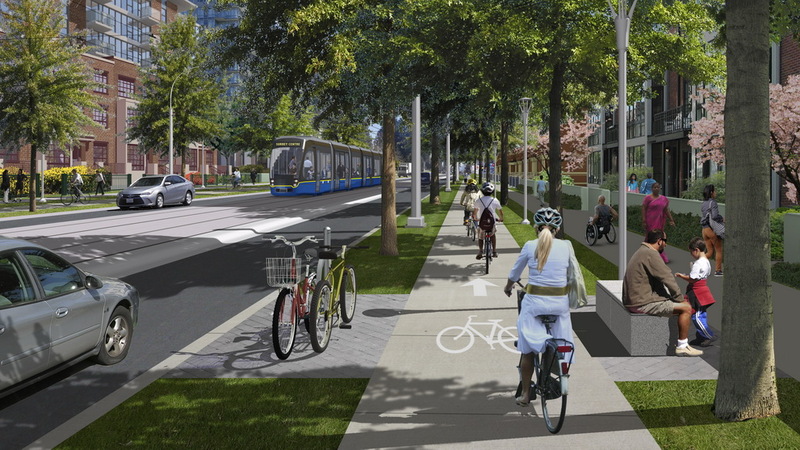 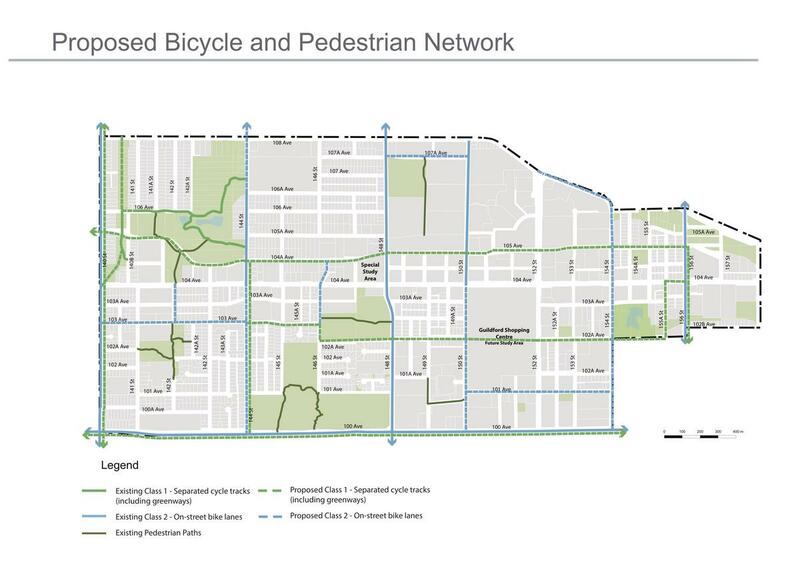 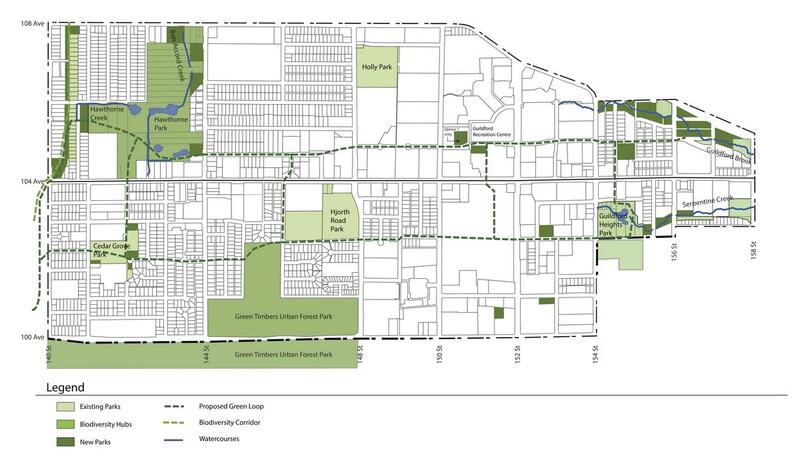 Along the line, 104th Avenue and King George Hwy will be transformed into multi-modal streets, instead of the 20th-century era car-oriented streets they are today. 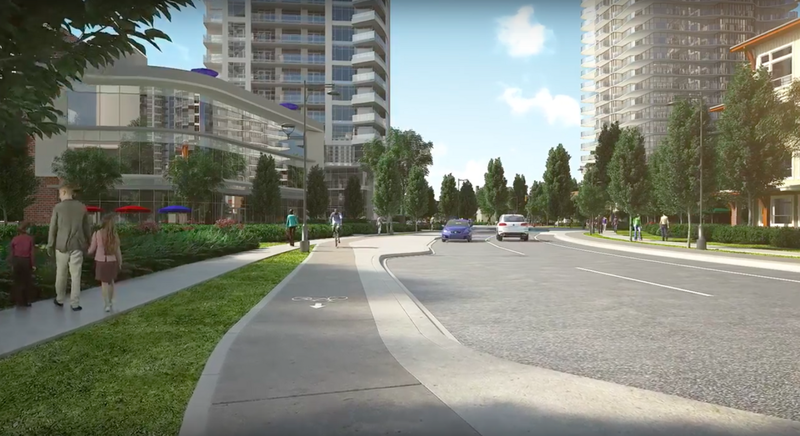 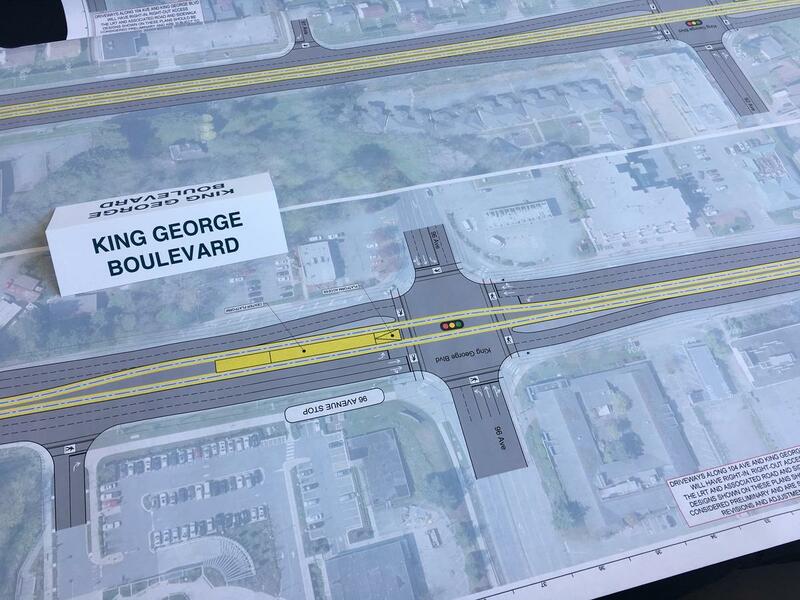 104th Avenue and King George Boulevard will become attractive, focal streets, complete with LRT, vehicle lanes, grade-separated bike lanes, and improved sidewalks. 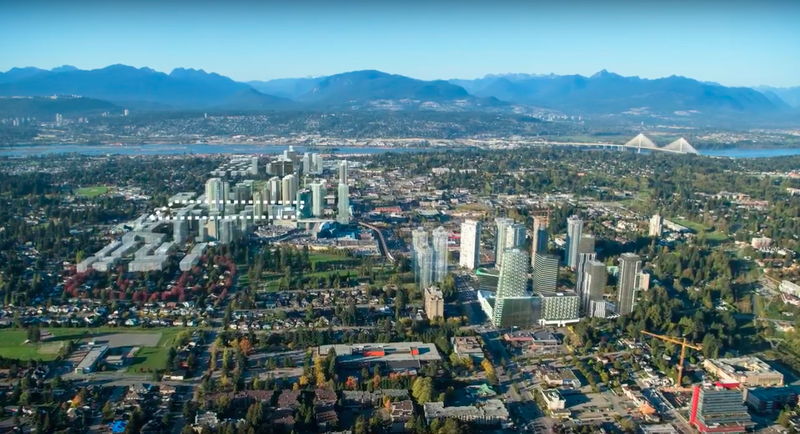 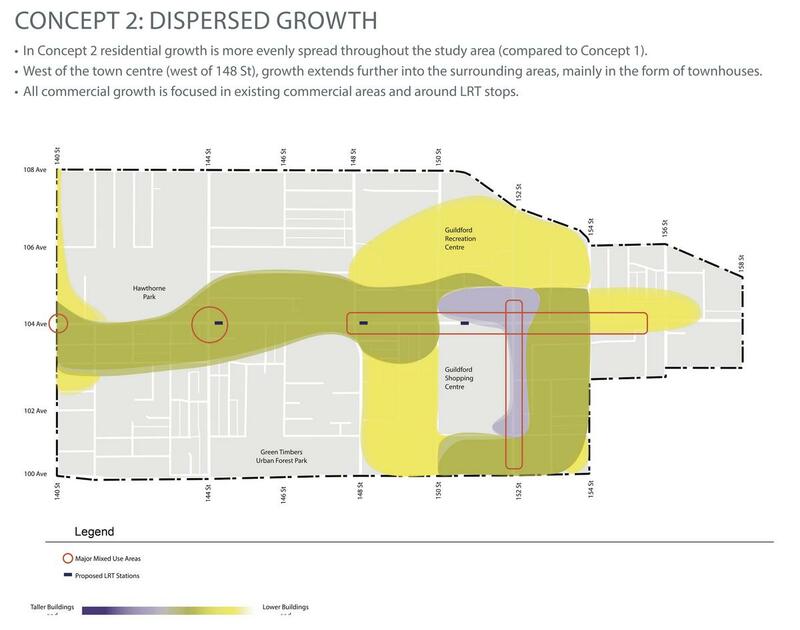 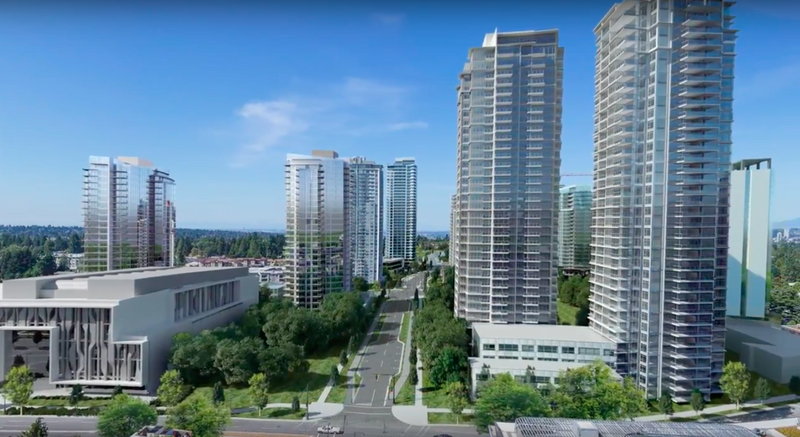 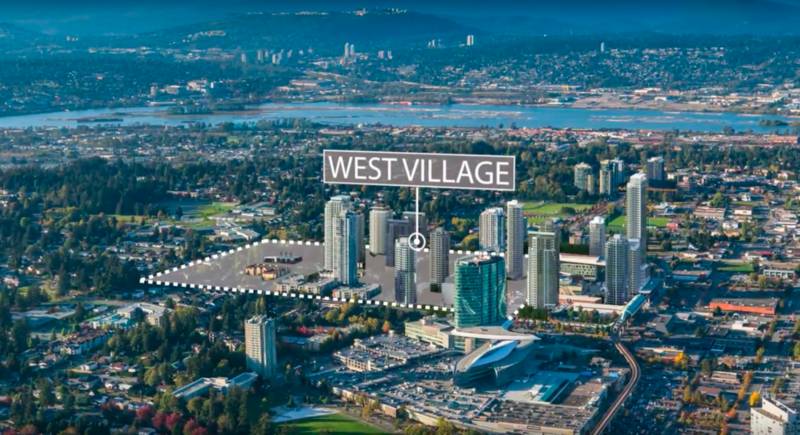 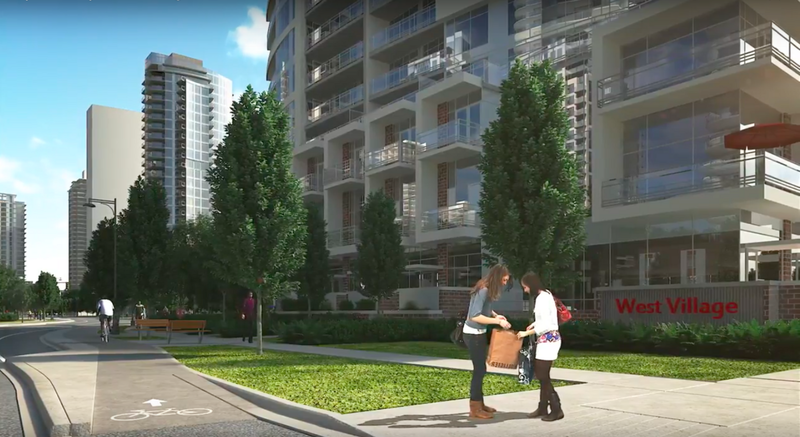 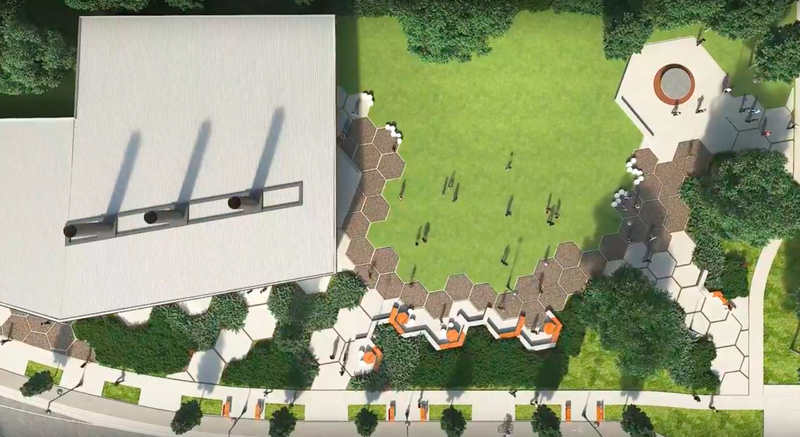 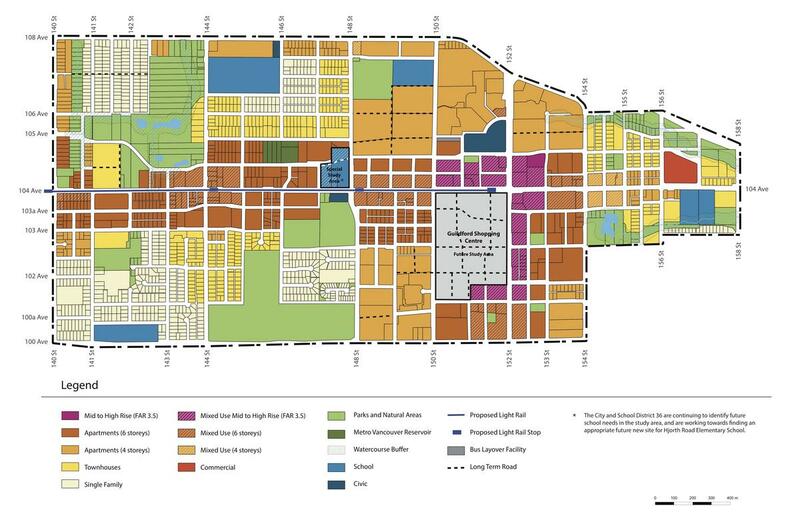 Land-use along them will gradually develop into a continuous stretch of mixed-use mid-rise buildings set close to the street, with ground floor retail, and offices, residences above. 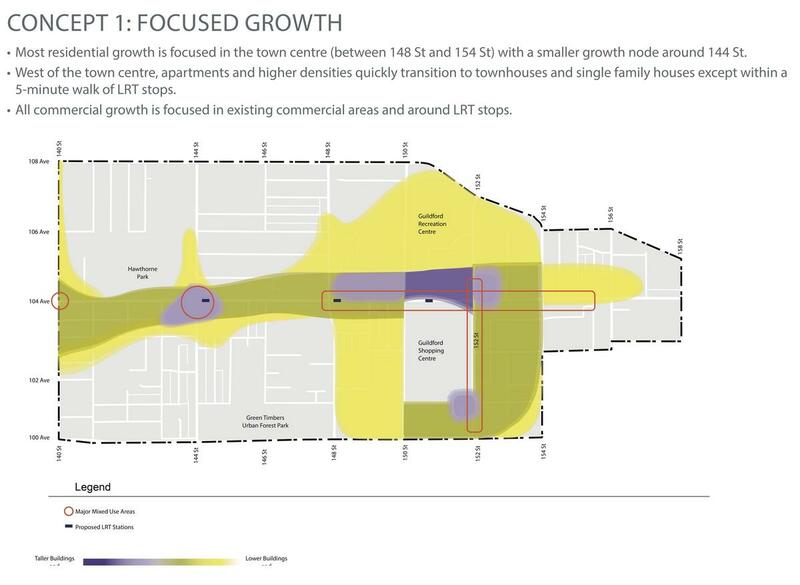 LRT will also add a new tier of transit to Metro Vancouver’s transit system that is currently missing, and would be appropriate for many other parts of the region as a compliment to the existing SkyTrain system which serves as more of a regional commuter rail service. 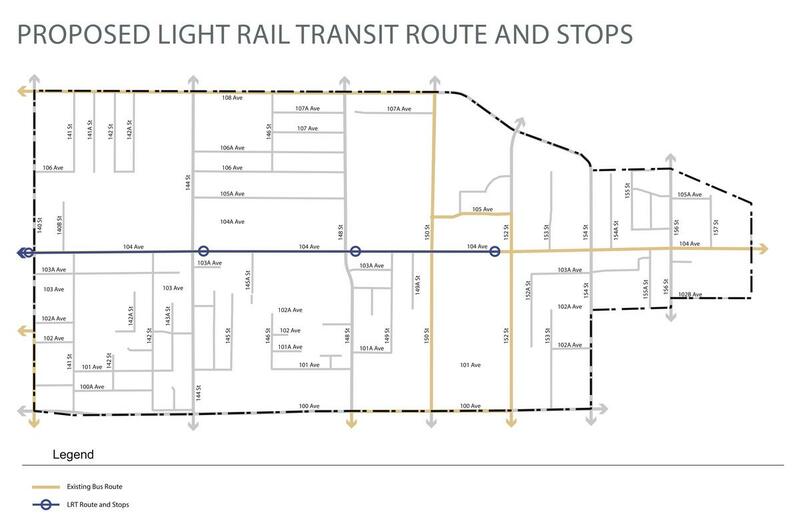 LRT is best suited for servicing more localized areas, where bus service is inadequate, while connecting to the regional rail network.